A man working at one of Amazon’s new warehouses was killed two weeks ago after being crushed by a piece of equipment, according to the Department of Labor. The accident occurred on Dec. 4 at an Amazon fulfillment center in Avenel, N.J., according to an incident report on the website of the Occupational Safety and Health Administration. “The victim was caught in between and crushed by equipment,” Leni Uddyback-Fortson, a regional director with the Department of Labor’s Office of Public Affairs told AllThingsD in an email. She declined to provide additional information, noting that OSHA was still investigating the accident. The death seems to have occurred at the same facility I wrote about in August, when I noticed Amazon job listings for a new Avenel, N.J., fulfillment center. There has been some speculation that this new warehouse might hint at an expansion of the Amazon Fresh grocery delivery business to New York and New Jersey, since the property, located about 20 miles from Manhattan, was previously occupied by a grocery company. 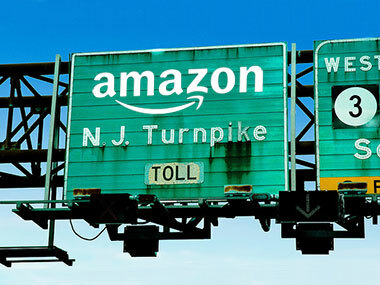 The facility is one of two that Amazon is currently building out in New Jersey; the other, located in Robbinsville, N.J., is scheduled to open next year, according to a recent report in the Times of Trenton. I haven’t been able to confirm the victim’s employer, but will update this post when I get that information. Update 7:46 pm ET: Uddyback-Fortson, of the Department of Labor, said in a follow-up call that the victim was employed by Abacus, a temporary staffing firm. Sources tell AllThingsD that while Amazon owns the facility where the accident occurred, third-party logistics firm Genco manages the operations there. Abacus executives did not immediately respond to emails seeking comment. A woman who answered the phone at Abacus’ Avenel location hung up on me when I identified myself as a reporter. A Genco spokesman didn’t respond to email and phone messages requesting comment.